Their day in the sun has passed, but Guitar Hero and Rock Band, those console games for playing plastic instruments together in the living room, left a legacy: a market for casual music gamers. Mobile and web developers have tapped into that market with games that creatively integrate music as a central component to the gaming experience, although the genre extends far beyond the rhythm-style games that were directly inspired by GH and RB. There’s a lot of garbage out there, though. To distinguish the signal from the noise in order to maximize your casual music gaming pleasure, we played a slew of them and compiled a list of the best we found in a few different categories — 12 free and paid options in total. Wave Trip ($2) is based on the classic ‘helicopter game‘ concept, which typically involves negotiating obstacles in a side-scrolling environment, but with some impressive sound design in the mix. Running your character over certain objects generates sounds that add variety to the backing track, which also varies, so you don’t lose interest. The sensitivity of the controls is smartly done, and the visuals — especially on the iPad — are crisp and beautiful. You can even build and play your own levels. 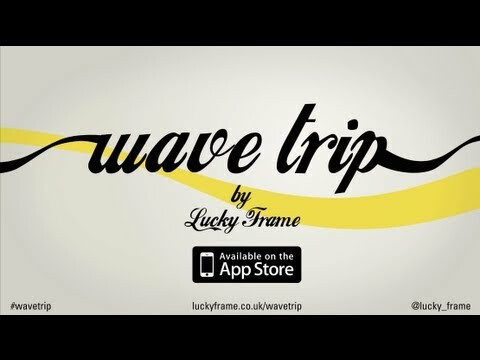 Lucky Frame did an incredible job with this, and they’re up to some other neat stuff as well (including the old, weird hits Pug Luv Beats and Pug Synth). Others will be more interested in a calming, light audio/visual experience — with a more “abstract” feel. One of these, ColorZen ($1), is a color-based puzzler that’s intuitively grasped without instruction. These simple mini-games, incorporating colors and shapes, signify that you’ve done the right thing by adding pleasant bell-like sonorities to the backing track. That music is primarily ‘electronic lounge,’ best appreciated with some decent headphones. 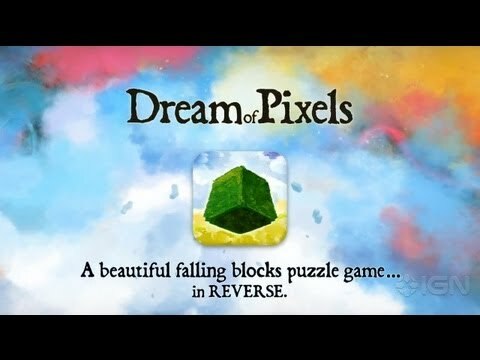 Dream of Pixels ($3) is somewhat of a reverse-Tetris game in which your task is to remove from a large mass descending from above. Though Tetris doesn’t always register as ‘calming’ to those who have played it, the sound track to Dream of Pixels is part of what keeps you there. Meditative and calm, it keeps you in a pleasant brain space. Different gameplay modes allow for less time-pressured situations, if that’s what you’re after, and you can share an animated GIF of your last few screens with your friends once your done, for some reason. The two apps in this section are fundamentally quite different, but both move at a decidedly faster rate than some of the other games listed above — perfect for pairing with that third cup of coffee for a music-enhanced mind jolt. 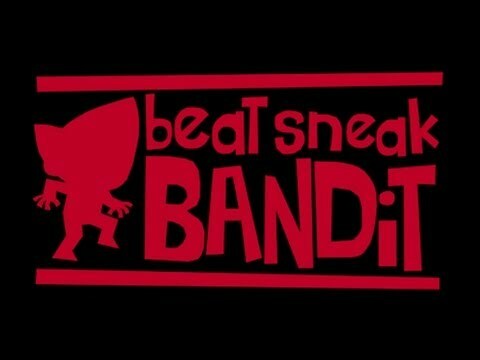 From the fabulous creators at Simogo, the Beat Sneak platform game is fun, rhythm-based, and visually awesome. The premise is to retrieve all of the world’s clocks, because the evil Baron Von Clockface has stolen them all. To do so, players must tap to the rhythm of the backing track while avoiding obstacles. The music is fun and quirky, while the oddball visual design recalls that of the children’s cartoon Dexter’s Laboratory. Button-mashers and/or Snoop Dogg fans need look no further than Way of the Dogg, made in collaboration with Snoop Dogg (before he became Snoop Lion). This action-packed game requires you to fight enemies in time to groovy hip hop tracks, by tapping and swiping. 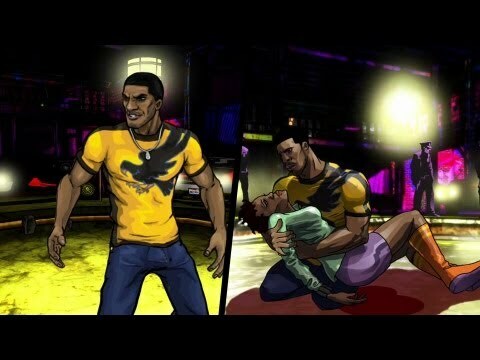 The comprehensive storyline involves martial arts, murder, revenge, and time travel, with a similar aesthetic to the Grand Theft Auto videogame franchise. As its name suggests, LookAtMyGame’s Finding Teddy ($2) puts you in the shoes of a little girl trying to find her teddy bear. We’re calling this a “point-and-click exploration” game, and it also asks you to drag-and-drop various items to interact with its world. Making progress means solving various musical riddles, which can at times be quite difficult — sometimes too difficult. Prepare for a challenge. The game also involves plenty of just, like, walking around, which requires a bit of patience. If you have that, you’ll probably enjoy the nifty design (visual and sonic) while getting in some light ear training. We found a good source for semi-disposable music web games in DailyGames. Some of the links are faulty or require sitting through advertisements, but if you see something you like, you can always Google its title (which often leads to the same game on Kongregate or Dedgames). The audio in many of these games is typically a cut below that of the apps listed above, and the level design isn’t usually as thoughtful, but the whole idea is that you play these things online, for free, for a few minutes, and then go on your way. This doesn’t mean some of them aren’t addictive, too. You’ll find plenty of Guitar Hero ripoffs (see Super Crazy Guitar Maniac 3) but some intriguing outliers include Music Mania, Music Euphoria, and Music Catch. Music Catch is particularly notable; a simple elegant geometric design that starts sentimental piano music as you capture shapes (yellow are good), avoid red ones, and gather power-ups. As the gameplay elevates in intensity, so does the music. Did we miss one? Let us know, and we’ll consider adding it to the list. Happy gaming. This is Pitch Jumper, a student project we just released on the app store. 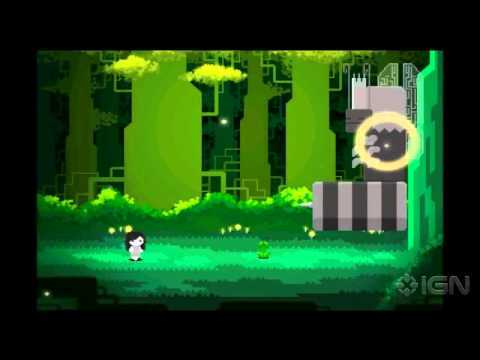 Its a musical platformer that uses songs from your library to build the levels. Check it out and let us know what you think.